By CrossPolitic Studios. Discovered by Player FM and our community — copyright is owned by the publisher, not Player FM, and audio streamed directly from their servers. 644 episodes available. A new episode about every 16 hours averaging 28 mins duration . Business Podcast: We discuss 7 hacks to help you wake up earlier to be more successful. Also we show you a video of a new phone made by the Chinese and their spying strategy. New Perk! 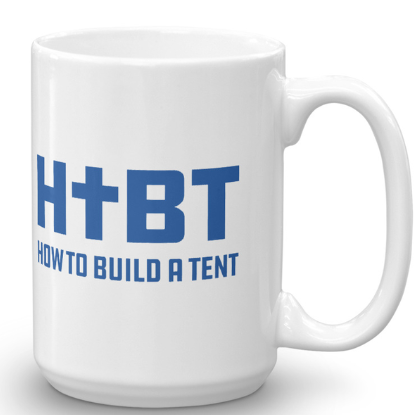 Become a Fight Laugh Feast Member click here, scroll down, and put “HTBT” in the memo to get a HTBT mug. I get to talk about some of my favorite things. Star Wars, Star Trek and Gary North’s writing. It’s relevant…trust me. And dont worry, I am not looking for the secret gospel message in the Star Wars movies, “Big Eva” style. If you are looking for more from the Westminster Confession of Funk, check out my blog hosted by the Fight, Laugh, Feast Network. Check out my books at amazon.com/author/jason_farley. And visit Jovial Press for more. This is part 3 of our 4 part series on “The Jewish Question.” Basically, why do we believe that Jesus is the Jewish Messiah? In this episode, we take a brief look at Daniel 9 and how it tells us the timing of the Messiah. On this episode we talk about comedy, the use of strong language, and other “Ridiculous BS” Here’s Jon Speed’s article from Gospel Spam about Unplanned and Abby Johnson. If you are looking for more from the Westminster Confession of Funk, check out my blog hosted by the Fight, Laugh, Feast Network. My new book In Pursuit of Kindness is available in paperback or for the kindle now! Check out my books at amazon.com/author/jason_farley. And visit Jovial Press for more. A common claim is that Christianity, Judaism, and Islam are the Abrahamic Faiths. There’s some truth to this, but Christians need to show that the Abrahamic Faith points to Jesus and not to modern Judaism or Islam. Start listening to CrossPolitic Studios on your phone right now with Player FM's free mobile app, the best podcasting experience on both iPhone and Android. Your subcriptions will sync with your account on this website too. Podcast smart and easy with the app that refuses to compromise.